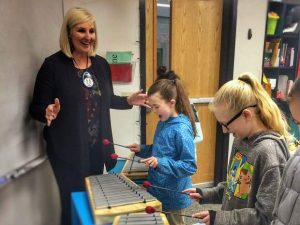 Mark Twain Elementary School has received a $16,000 music education grant it will use to purchase new musical instruments including a 50-piece world drumming set, steel drums, hand chimes and various other percussion instruments. The 16 grantees were selected from 643 initial applicants who requested more than $4.4 million. The Mockingbird Foundation is the leading provider of historical information about the band Phish and its music. For information about Phish, see the official Phish.com or Mockingbird’s own fan-run Phish.net. Tax-deductible donations may be made through the foundation’s website at http://www.mbird.org.